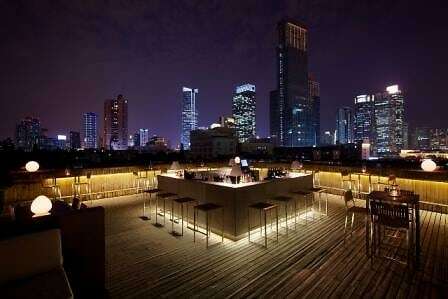 The party scene in Shanghai doesn’t wake up until 1am, and certainly does not peak until dawn approaches. This means that after an excruciatingly late dinner, your first stop should be to a lounge where you can slowly ease yourself into the clubbing mood. After all, you will need the right amount of drinks and energy build-up to keep up with the Shanghai party scene-- because in Shanghai, anything goes.